You are here: Home / Archives for Steven B. Lesser ,Esq. About Steven B. Lesser ,Esq. Steven B. 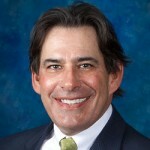 Lesser is a shareholder and chair of the Construction Law and Litigation Practice of law firm Becker & Poliakoff. He may be reached at slesser@bplegal.com. When construction projects are completed, owners of commercial and residential property often discover construction and design defects, poor workmanship and building code violations. When this happens, owners must follow certain procedures as required by Florida law before being permitted to file lawsuits or arbitration proceedings to collect damages from responsible parties. Chapter 558, Fla. Stats. is Florida’s pre-suit notice and right to cure procedure. The statute sets forth requirements to notify responsible parties of defects with reasonable detail, allow them to inspect and provide an opportunity to respond with an offer to correct, pay money or dispute the claim. The statute provides a timeline when all of these events occur and only after satisfying these requirements can an owner pursue a claim in court or through an arbitration proceeding. There are some critical things you need to know about how the statute operates to preserve your rights. As of October 1, 2009, the Chapter 558 pre-suit notice provisions automatically apply to all new construction contracts. It is essential to note that public transportation projects (such as airports and bus terminals) and defects that threaten the health, safety or welfare of others (also known as “life safety defects”), are exempt from Chapter 558. Aside from these limited exceptions, the requirements apply unless the procedure is expressly waived. When a defect is discovered, the first step is for both owners (also defined in the statute as “claimants”) and recipients of Ch. 558 notices to review all agreements for construction or design services to determine if Chapter 558 applies. Be mindful that Chapter 558 only applies to defects discovered after substantial completion has been achieved. Furthermore, Chapter 558 procedures apply to owners even where there is no written contract between the parties. Once it has been determined that Chapter 558 applies, the claimant is required to provide responsible parties with a written Notice of Claim which describes the construction or design defect with reasonable detail. As of October 1, 2015, claimants are required to identify the location of each alleged construction defect to enable the responding parties to locate the alleged defect without undue burden. The failure to provide this information could result in your lawsuit or arbitration proceeding being “put on hold” or stayed pending compliance with this procedure. Who are the recipients of a Notice of Claim? All potentially responsible parties for the design and construction of a construction project, such as the developer, contractor, subcontractors, suppliers and design professionals represent those parties that may receive a Notice of Claim for defective design and construction. As of October 1, 2015, the insurers of the contractor, subcontractor, or design professional should also be given an opportunity to cure or settle the claim without further legal process. Now that I have received a Notice of Claim per Ch. 558 Fla. Stats., what should I do? Once a Notice of Claim is received, make sure that none of the statutory deadlines for inspection and responding are missed as outlined below. To the extent you have commercial general liability insurance or if a design professional carries professional liability insurance, promptly notify your insurance carrier to attempt to secure coverage for these claims. What are the statutory timeframes that may apply to me? This depends on whether the claimant is the owner of a commercial project, a single family home, a duplex, or a community association representing 20 or fewer residential parcels. In that case, you would have: (i) 10 days to notify any other persons you believe may be responsible for the alleged defects, (ii) 30 days to inspect, and (iii) 45 days to serve a written response to the Notice of Claim. However, if the claimant is a community association that represents 21 or more residential parcels, you would have: (i) 30 days to notify any other persons you believe may be responsible for the alleged defects, (ii) 50 days to inspect, and (iii) 75 days to serve a written response to the Notice of Claim. What are some of my rights under Ch. 558 Fla. Stats.? First, you may request an inspection with the claimant to observe the conditions described in the Notice of Claim. You are also encouraged to retain your own attorneys and consultants to attend the inspection, analyze the owner’s claims, and assist you with the Ch. 558 response process. Second, you may request certain project records from the claimant and recipient of the Notice of Claim as further explained below. Third, you may request destructive testing of the premises per mutual agreement with the claimant. Fourth, if you have received a Notice of Claim, consider providing all potentially responsible parties to you, such as the design professionals, contractors and subcontractors, with a written “secondary notice of claim” of any alleged defects. This option includes them in the Chapter 558 process and requires them to respond to you about the defects outlined by the claimant. What documents can I get? As of October 1, 2015, the claimant or recipient may request from each other any design plans, specifications, and as-built plans; photographs and videos of the alleged construction defect identified in the notice of claim; expert reports that describe any defect upon which the claim is made; subcontracts; purchase orders for the work that is claimed defective or any part of such materials; and maintenance records and other documents related to the discovery, investigation and causation of an alleged defect. These records would be produced pre-suit. You would be required to pay for any reproduction costs. What information can I get to challenge the claim? In addition the claimant’s documents related to the discovery, investigation, causation, and extent of the alleged defect, you are now entitled to request copies of the claimant’s maintenance records for the property where the alleged defects exist. This includes items such as maintenance vendor logs, service agreements, and invoices, which show how often the claimant maintained the premises prior to, during and even after the discovery of any alleged defects. This could be important because a defense to a condominium statutory implied warranty claim is the failure to perform “routine maintenance”. So a recipient of a notice of claim may request these records in an effort to substantiate this defense. Similarly, claimants can request maintenance records from the Developer of record during its control of the project. What should my destructive testing request include? If destructive testing is desired, you must describe to the claimant, in writing, who will be performing it, the anticipated damage, and the time needed to perform the test. The request for testing should also identify who will perform any restoration necessitated by the testing and who will cover the cost of those repairs. What is a “secondary notice of claim” and when does it apply? 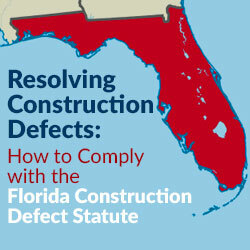 The recipient of a Notice of Claim should provide all potentially responsible parties, such as the design professionals, contractors and subcontractors, with a written “secondary notice of claim” of any alleged defects before the expiration of the time limits imposed by Chapter 558, Fla. Stats. Will an insurer provide me with a defense upon receipt of a notice of claim? Often, it depends on the insurance carrier. While Ch. 558 Fla. Stats. provides a notice and right to cure mechanism for resolving a dispute, it is not the same thing as a formal proceeding which could trigger the insurer’s duty to defend. A recent court decision has held that the serving of a notice of claim does not trigger coverage or any duty to defend by the insurance carrier. Fla. Stat. § 558.004(13) now provides that a notice of claim does not constitute a claim for insurance purposes “unless the terms of the policy specify otherwise.” Often a contractor or developer may hold off on retaining its own engineering consultants or attorneys to participate in the Ch. 558 phase of litigation as a cost-saving measure. Excluding these professionals from the pre-suit process could actually impede resolution of the claims under Ch, 558, potentially resulting in litigation. How should I respond to the Notice of Claim? Recipients of the Notice of Claim are required to issue a written response, within specific statutory timeframes, either disputing the claim, or accepting the claim and providing the claimant with: (i) repairs of the alleged defects, (ii) a monetary settlement, which may include insurance proceeds, or (iii) some combination of repairs and money, along with a timetable for making payments and/or repairs. If you fail to provide a timely response to the owner’s claim, the owner is free to deem the lack of response a rejection of its claim, and may commence litigation or arbitration. Chapter 558, Florida Statutes generally applies to all design and construction projects unless the procedure is expressly waived by mutual agreement, or the defects are exempted by statute. Developers, contractors and design professionals should become familiar with the statutory deadlines to insure compliance with the pre-suit procedures, and to avoid delay in pursuing relief for damages arising from construction and design defects. Recipients of a Notice of Claim should avail themselves of the opportunity to discover the basis for a claim and acquire documents to evaluate the claim. By doing so, you may be able to resolve claims more efficiently and cost-effectively.